The Independence Fund is a non-profit organization formed in 2007 with the mission of “empowering severely wounded veterans and their caregivers to take control of their lives.” The Independence Fund assists veterans through a variety of programs, such as their mobility program which provides veterans with all-terrain track chairs, allowing individuals with limited mobility to get out and do things they love such as camping, hunting, and hiking. 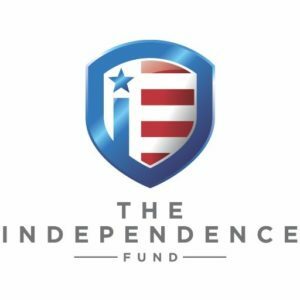 Additionally, The Independence Fund has a caregiver program, which provides a range of support systems for individuals caring for wounded veterans. Eisenhower Center has been working closely with The Independence Fund over the past several years and is proud to announce “Independence at Eisenhower”. This initiative sponsors veterans to go through our After the Impact program, with the added benefit of the support and resources of The Independence Fund. After the Impact is an intensive, 30-90 day program tailored to the needs of the individual, which pairs veterans with professional athletes and first responders as they work through health/behavioral issues stemming from post concussion syndrome, post traumatic stress, mTBI or other similar diagnoses. Interested in supporting this initiative? Visit http://independencefund.org/page/donate to make a donation.